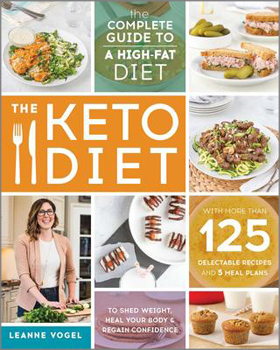 Leanne Vogel, the voice behind the acclaimed website Healthful Pursuit, brings an entirely new approach to achieving health, weight loss, and happiness through a keto-adapted lifestyle with The Keto Diet: The Complete Guide to a High-Fat Diet. The Keto Diet will help you gain energy, lose weight, improve your health, and turn you into the ultimate fat - burning machine - all without restricting or even counting calories. You'll have all the tools you need to fall in love with your body and banish your fear of fat forever!